What Is a Smart Home Alarm System? Smart alarm systems give homeowners more freedom and could save them money over traditional home alarm systems. Is a home alarm system right for you and your home? 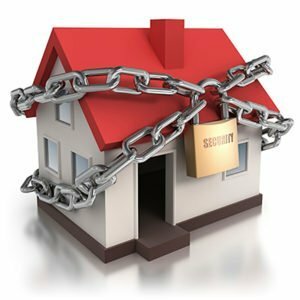 With property crimes happening each and every day, many people look to home security alarm systems to protect their home. At the same time, technology is advancing at an exponential rate–with the capacity of a storage car nearly doubling every year. This advance in technology has allowed many facets of life to become integrated into technology, and home security systems are no exception. Do you know if a home smart alarm system is right for your home? Smart technology is technology that is able to speak and interact with itself. (Don’t worry, the singularity and the robotic uprising is still a while away.) What this means is that your home alarm system can connect to your phone and send you (and the local authorities) an immediate notification in case of a break-in. Smart alarms also make installation incredibly easy. You may remember that home alarms had to physically be installed into the property–through the walls and under doors. Because of wireless technology, that is a thing of the past! Control – You have full control over monitoring your alarm–many people enjoy this kind of freedom. Price – You do not have to hire anyone to install it and you can choose whichever model of security alarm you wish. Weak Password – A weak password will make it easier for your device to be hacked. Ensure that you have a strong password when you install your device. User UN-Friendliness – Many new devices may make it difficult to program, especially for those that may not be as technologically advanced as others. A home security system can only alert the cops. If the criminals get what they want and book it before they arrive, a good home insurance company can reimburse you for your losses. Get in touch with your Pierce Insurance Group agent and contact us today for an all-encompassing homeowners insurance policy in McKinney, Texas.